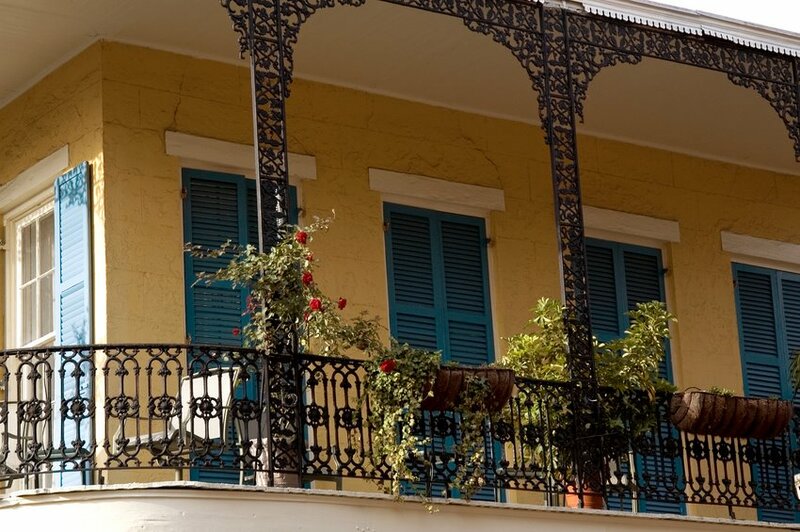 Salute to New Orleans - Laissez le bon temps rouler! Nothing is better than when you are traveling and you connect with a local - someone who knows more than your tourist guide about the area. I love it when I can find someone to recommend where the locals will go to eat, to hear music, to drink. I’ll try to learn a phrase or two in the local language or patois to ensure I can at least get a laugh. If you can share a laugh with a stranger, you're halfway there. Some of my best experiences have been those where I took that leap of faith, and went to the place not listed in the guide book. I feel so lucky to have visited New Orleans before the devastation of the storms. One of our days there we asked a taxi driver for a recommendation for lunch. We told him we did not want to go to a tourist place, but wanted to go where the locals know they can get a good lunch. He said, “Mother’s - that’s where we go.” So, Mother’s it was. There was a short line out front which we attributed to the time of day – lunch rush. Once inside the very casual, cafeteria style place, we knew we were in good hands. You can always rely on good smells and smiles all around. The place was probably a mix of locals and tourists like us who were willing to go just a bit off the beaten path. Since it was one of my first meals in New Orleans, we decided to order a bunch of things to sample. C. was a little surprised that the women behind the counter all called him “Honey” or "Baby" or "Sugar" - that's right, Sugar, New Orleans is not L.A. Y'all in the South now. We ordered “a cup” of this and a bit of that. As we made our way down the line, I could tell by the looks from the ladies behind the counter that we were quickly and easily pegged as newbies. By the time we got to the end of the line, two trays were barely enough to carry our food! We actually ended up taking two tables to hold all the food from our plastic trays. Clearly, our taxi driver had forgotten to warn us about portion size. Everything was delicious and unpretentious. You could imagine you were at a favorite Aunt's house, a family reunion or a summer church picnic. With contributions from Native Choctaw Indians, African slaves, Cajuns, French Creole, and Spanish, it's clear to see why everyone feels welcome and well-fed. Another evening we took the advice of a new friend and found a jazz bar - way, way off the beaten path. Total local neighborhood, no tourists at all. It was one of the favorite discoveries of the trip. Eating my way through as many of the glorious food tradtions as I could each day, I came to love Gumbo, and jambalaya, po boys, and beignet. The genuine laid back pace, the love of jazz, the flirtatious charm of the people, as well as the phenomenal food traditions, makes it hard to forget. I hope to get back there soon. On the anniversary of the devastating hurricanes, some of my fellow Suite101.com food writers and I have devoted columns to a Salute to New Orleans. Thanks Michael for a chance to re-visit New Orleans, if only in memory for now. The City of Brotherly love gets another black eye thanks to the offensive English-only ordering policy at Geno's Cheesesteaks. "This Is AMERICA: WHEN ORDERING `SPEAK ENGLISH.'" Proclaims a sign owner Geno Vento posted at his Order window. Simmering just below his professed good intent to help immigrants learn English is palpable anti-immigrant bile. If he really wants to help, why doesn't he sponsor English as a Second Language courses for new immigrants? Or, he could volunteer to mentor non-English speakers. I won't hold my breath. Apparently, Vento is not new to race-based controversy. He serves "Freedom Fries" - which I thought was ridiculous to begin with and laughably passe. His own Sicilian grandparents faced xenophobia when they immigrated to Philly but memories are often morphed by having achieved a small piece of the pie. Now, rather than empathy for the next wave of immigrants, he holds only contempt. His goal is to hold onto his and prevent them from getting theirs. For the uninitiated, a long-standing rivalry exists between Pat's and Geno's - both located a stone's throw from each other. Hey Pat - I'll take mine "wit". 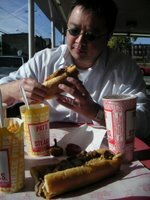 For those of you who haven't found your way to Pat's (the King of Cheesesteaks) yet: "wit" is ordering jargon for "with onions." As one commentator notes, it's not the King's English, but it'll do. How ironic that the tourism brochures flaunt the ordering jargon as one of the city's charms. Will they add a note about Geno's new ordering policy? Yes, savagely in love with Asparagus. Finding some "asperges sauvage" in Savenor's yesterday, I immediately recalled my trip 3 (eek) years ago which included my first ever trip to French Laundry, my first ever trip to the even better La Toque and my first experience with wild asparagus. So delicate, so tender and yet so ...(dare I say it?...phallic.) O come on, look at them. It didn't occur to you? Well yes, this is exciting stuff...Just the crisp, green delicate flavor of asparagus, slightly reminiscent of its family tree (also containing onions, leeks and garlic). Anyway, I promised myself and anyone that would listen that this blog would not turn into the prosaic "what I had for dinner" dreck, but you will indulge me just this once? I blanched the tender young wild asparagus, then tossed them a bit with some EVOO and one clove of garlic slivered ever so thin. After the farfalle were al dente (we must dress for our special dinner guest, mais non?) tossed the garlic, oil, asparagus into the pasta pot, with some light cream. As the cream reduced, tossed the farfalle back in with some freshly grated Parmesan. Topped with fleur de sel and crushed black pepper. Heaven. Also on the menu: grilled sandwich steaks done with jerk marinade, shrimp marinated briefly (garlic, Meyer Lemon Olive Oil, juice of half lemon, zest of half lemon, healthy grinds* of black pepper, chile de arbol, splash of wine) then grilled. And an Australian Chardonnay. Who knew they make decent whites? I also came across great posts by asparagus lovers Seriously Good: Asparagus Roundup VI. *If you haven't done so yet, beg, borrow or steal to acquire a Peugot Pepper Mill. No metal on metal mill: this is designed to crush the peppercorns. It is a surprising difference both in flavor and ease of use. Well worth every penny. A 5.3 ounce serving (approximately 5 spears) has only 20 calories, 0 fat or cholesterol, 5 milligrams of sodium, 400 milligrams of potassium, 3 grams of fiber, 60% of the USRDA of folacin, and are excellent sources of thiamin and vitamin B6. "I feel sorry for people who don't drink. When they wake up in the morning it's as good as they are going to feel all day." I'm not usually one to count Frank Sinatra in my pantheon of quotable sources, but I ran across this one recently and just loved it. While writing about farmers markets and herbal infusions such as my new favorite vermouth, I know, vermouth(! ), I started thinking about my favorite bartenders and bar experiences. I've been known to be a stickler for rules about Martinis. 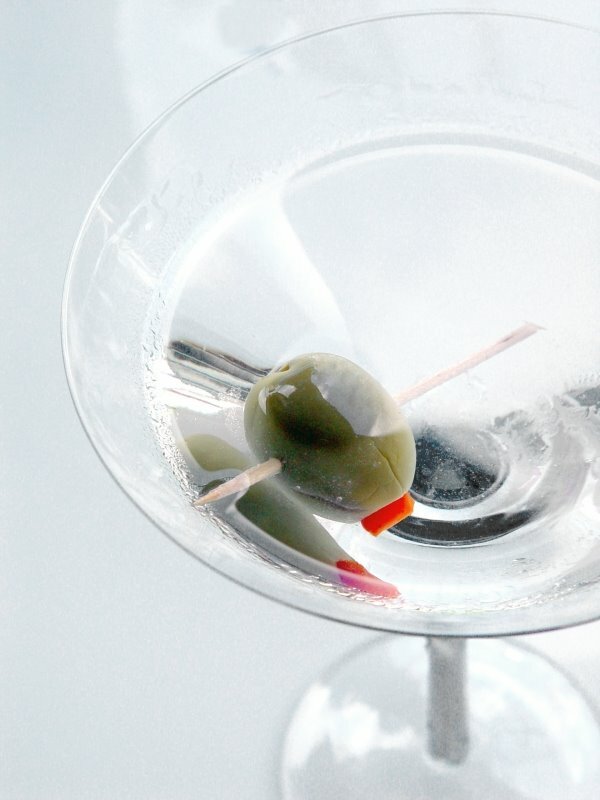 Never forget Dorothy Parker's quip: "I love a martini, two at the most. Three - I'm under the table; four, I'm under the host." Don't even ask me what happens after that. Gin, not vodka, is a purist's martini. Preferably, Hendrick's with a slice of cucumber. My adorable C. used to have such an aversion to gin that if I wanted smooches, I had to learn to drink vodka. It was a temporary and intermittent sacrifice and worth it. I even learned to appreciate different vodkas. Wise man that he is, C's even learning to appreciate gin. Talk about a good match. When drinking vodka, don't be afraid to try a twist instead of olive or how about TomOlives little pickled tomatoes? Mmmm. Yes, I love chocolate. No, not in my martinis. Chocolate, fruit and other such lovely items are for dessert, not for cocktails. Don't show me "martini menu." A good bartender understands these things and will often have a unique trait or two that elevates them in my book. Exhibit one: Gus at the Beverly Hills something or other. Possibly the most exclusive enclave for barflies I've ever visited. We walked over swans in the pond to get the dark, quiet bar. Luckily, my fabulous friend Catherine had established a relationship with Gus through some admirable advance work. Where else, I ask you, will the bartender upon seeing your arrival, begin sorting the bowl of mixed nuts to place in front of you. Oh yes, none of the nuts that La Cecil disliked were ever going to interfere with our dainty bar nibbles. Oh no. Another good bartender: Leigh, was one of my very favorites when I was single and making regular stops on the circuit. Leigh cleverly read my body language would even come 'round my side of the bar on occasion. What occasion you ask? When some offensive clod missed every polite clue I could think of, Leigh would simply appear next to me, expertly insinuating himself between the poor sod and me, "So Jacqueline, how have you been?" We'd have a brief catch-up while the other guy lost interest. Brilliant! A good bartender will also remember what you drink and how you like it. Bone dry Hendricks? Got it. And now, a word to my fellow barflies. Listen up, you know who you are! Good bartenders are also made, not just discovered. We must cultivate these relationships. It is our duty. Don't pout, it has its rewards. Second, let the bartender know you understand they work for tips. If I happen to find I've brought non-tippers to my favorite watering hole, I will let the bartender know of my chagrin at the appropriate moment, and through discrete compensatory tipping. Third, patience is appreciated especially on busy nights (see rule #1) and a sense of humour is always a good thing. This does not mean tying them up while you try to remember how the punchline goes. It means laughing off things like bumps or spills. Just as there are few perfect barflies, there are few perfect bartenders. My pet peeves? Ignoring me on the assumption that because I am female, I won't tip. It pains me to say so, but it is slightly more often that female bartenders have committed this offense, in my experience. You can see them work up and down the bar, flirting with the guys and skipping over the girls. Pulling a glass away before it's finished. Do you really want to engage in that, "I'll make you order more drinks." "Okay, I'll tip you less!" battle? Not with me. Serving me a cold drink in a hot glass, just out of the dishwasher. Or a chipped glass. How about the guy who when the chipped glass was brought to his attention, simply dumped that drink into a fresh glass to be reserved. Not even kidding. Using a puny glass or packing a larger one to the rim with ice, especially if I've ordered a single malt, one cube. Or forget which single malt I ordered and assume I will not notice when you give me an Islay when I asked for a Highland? Getting a fat, pithy hunk of a lemon when I've asked for a twist. Pith: bitter. Twist: aromatic oils. Lack of discretion. No secrets or past drinking history should be given up until I've indicated what my new friend's relationship to me is. I may not want the client I've just brought in to hear your opinion of my state of mind leaving your establshment last time. Finally, I once was a no fan of vermouth. Vya vermouth from Quady Winery has changed my mind. 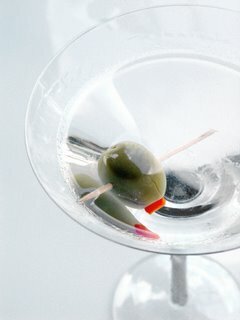 Not only is it wonderful for cooking but it adds lovely hints to a martini. See Of Herbs and Cocktails.